Seattle Philharmonic, Port Angeles Symphony, Springfield Symphony, Berkshire Symphony, Cape Ann Symphony, Phoenix Symphony, New Mexico Symphony, Austin Symphony, Houston Symphony, Orchestra X in Houston, Northeast Orchestra of Tarrant County, Jacksonville Symphony, Columbus Symphony, Cascade Symphony, Wichita Symphony, Kansas City Symphony, Maryland Symphony, Long Beach Symphony, Modesto Symphony, Buffalo Symphony, Racine Symphony, Glens Falls Symphony, Silicon Valley Symphony, Fargo-Moorhead Symphony, Symphony Pro Musica, Youngstown Symphony, Doctor's Orchestra of Houston, Longwood Symphony, Los Angeles Jewish Symphony, Chamber Orchestra of Philadelphia, Eastman Graduate Chamber Orchestra, Bavarian Philharmonic, Bach Collegium of Munich, Puertro Rico Philharmonic, Bruckner Orchestra of Linz, Panama City Pops, Coast Guard Band, and the Boston Metropolitan Orchestra. 2018 was a busy year for Kaska. He released his second jazz album with the Kevin Kaska Jazz Orchestra entitled Artistry. The album featured Arturo Sandoval with a 65 piece orchestra (recorded in Los Angeles). Kaska worked with esteemed director Clint Eastwood on his film The Mule, as well as the Kennedy Center Honors and the television show The Orville. He was asked to provide the orchestral arrangements for John Debney’s original musical My Silent Night, which premiered in Salzburg for Christmas with a 70 piece orchestra. In December he traveled to London to record music at Abbey Road for the animated movie Missing Link. In 2012 Kevin Kaska orchestrated music on the Academy Award winning film score Life of Pi. Film composer John Debney asked Kaska to orchestrate his music into a 70 minute concert choral symphony based on the themes he wrote for the Mel Gibson film, The Passion of the Christ (Academy Award nominated score). The Passion Of the Christ Symphony was premiered in Rome with the Santa Cecilia Orchestra and Choir in July of 2005. Kaska has also worked for John Debney as an orchestrator on the films The Greatest Showman, Isn’t It Romantic, Chicken Little, Mummy 3, Evan Almighty, A Thousand Words, Meet Dave, Swing Vote, Zathura, Idlewild, Barnyard, Ant Bully, The Three Stooges, and Everyone's Hero. He has also orchestrated music for the video games Call of Duty III by Joel Goldsmith and the films Transformers 2 & 3 by Steve Jablonsky. Kevin Kaska also orchestrates for film composer Hans Zimmer. He has orchestrated on The Lone Ranger, Man of Steel, The Dark Knight 1 & 2, Sherlock Holmes 1 & 2, Angels and Demons, Madagascar 2 & 3, Rango, Megamind, Inception, Monsters vs. Aliens, the 2012 & 2019 Oscars, and the mini-series The Pacific. In 2009 Kevin Kaska was asked to write a big band composition entitled Ballroom Bounce that is in the movie Public Enemies starring Johnny Depp, directed by Michael Mann. He also collaborated on Chicago Shake with Bruce Fowler, Harry Garfield, and Don Nelson. In 2008 Kevin Kaska was asked to score the music to the drama Jump! directed by Joshua Sinclair. The fim stars Patrick Swayze. The DVD is available on Amazon. Kevin Kaska is one of the few musicians to hold a Guiness Book of World Records. The World Harp Congress commissioned Kaska for a work that was premiered with the largest harp ensemble in recorded history. Kaska conducted the concert of 232 harps in Amsterdam, July, 2008. Film composer John Debney asked Kaska to collaborate on the score to the video game Lair (released August, 2007, Kaska wrote additional music for the game). This score was recorded in London at Abbey Road Studios with a 90 piece orchestra. The soundtrack is available in iTunes. 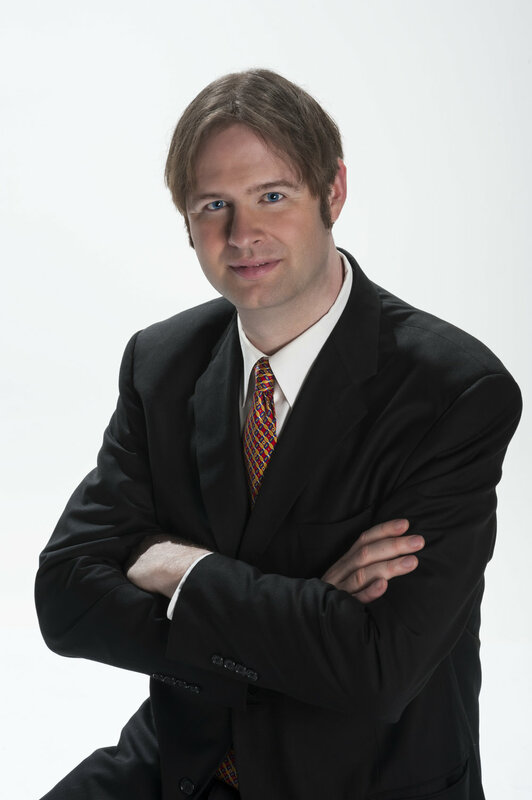 Kevin Kaska's music has also been played by many classical radio stations nationwide including Classic King FM 98.1 Seattle, WUSF 89.7 FM South Florida, WMBR 88.1 Boston, WCRB 102.5 Boston, KFUO 99.1 St. Louis. He also also been interviewed by these radio stations discussing his music. Kevin Kaska was introduced into the Boston Pops Orchestra at the age of 21. John Williams approved his work and he was asked to write for the orchestra. He was commissioned in 1997 to compose a twenty minute work for narrator and orchestra commemorating the 150th anniversary of Thomas Edison’s birth called The Wizard of Menlo Park. This work was premiered by the Boston Pops Orchestra conducted by Ronald Feldman on Father’s Day, 1997 with a lighting show accompanying the music. Alvin Epstein acted in the role of Thomas Edison. During his high school years Kaska was the only protégé of famous Hollywood composer-arranger Vic Schoen (arranger for the Andrew Sisters, Irving Berlin, Bing Crosby, Bob Hope, Danny Kaye, Ella Fitzgerald, Pat Boone, and Dinah Shore, to name a few). He came to Boston to study Film Composition at Berklee College of Music. While in Boston, he formed his own jazz orchestra, playing the music of Stan Kenton. His big band arrangements have been played by the Harry James Orchestra, Boston Big Band (recorded on CD), the Buddy Rich Ensemble at Berklee and several other big bands throughout the country. While in Boston Kaska has also arranged for jazz harpist Debrah Henson Conant and assisted Broadway composers Henry Krieger (composer of the show Dreamgirls) and Galt MacDermot (composer of the musical Hair) on the Boston Conservatory 100th Anniversary Gala Concert. In 1996, the Boston Symphony Orchestra’s Campaign 2000 commissioned Mr. Kaska to compose a new fanfare; the result was BSO 2000 Fanfare. He was also asked to write a new arrangement of the Star Spangled Banner for Seiji Ozawa and the Boston Symphony Orchestra brass and percussion section for the opening of a New England Patriots football game. In 1998, Varèse-Sarabande Records asked Mr. Kaska to re-orchestrate the music to Superman the Movie for an album with the Royal Scottish National Orchestra conducted by film composer John Debney (the score and parts to most of the music had been lost). Kaska has conducted numerous concerts including albums with the London Symphony Orchestra at Abbey Road Studios, and is music director and conductor of the Boston Metropolitan Orchestra. In 2000, Korea’s leading male pop vocalist Dongryul Kim asked Mr. Kaska to orchestrate and conduct his music for an album with the London Symphony Orchestra at Abbey Road Studios. To this day, more than 2,000,000 of these CDs have been sold. In May of 2000, Mr. Kaska conducted the Boston Metropolitan Orchestra in a concert that will appear in history books around the world – Summon the Legends. Jazz legends Maynard Ferguson and Arturo Sandoval appeared on the same stage with the BMO at the Berklee College of Music performance center. This ground-breaking concert was a sellout, with people traveling from around the country to attend. He has also given clinics on orchestration and film music, most recently to a master class at Berklee College of Music and the University of Southern California. Mr. Kaska has produced many albums for Boston classical-jazz label Denouement Records, he is currently their composer-in-residence. In the fall of 2000, Kaska produced an album for Boston Symphony Orchestra principal harpist Ann Hobson Pilot. In spring 2001, he produced an album with the Old South Brass, Organ, and Timpani ensemble, in which four of his compositions are featured. Old South Church is the second oldest church in the United States. In 2005 the world's premiere euphonium soloist Adam Frey (www.euphonium.com) commissioned Kaska for a Euphonium Concertino. Frey also asked Kaska to write music for and produce an album with the New Zealand Symphony that was recorded in January 2006. In June of 2004 Kaska's Knights of the Red Branch was premiered at the American Harp Society convention in Philadelphia. The work was commissioned by the Philadelphia chapter of the AHS and written for Boston Symphony harpist Ann Hobson Pilot, Dallas Symphony harpist Susan Pejovich, Houston Symphony harpist Paula Page, and the Chamber Orchestra of Philadelphia. In 2002, he produced an album of American music with the Boston Metropolitan Orchestra entitled New England Landscapes. The next year, Kaska produced an album with Boston pianist Louis Stewart. In 2002, Mr. Kaska was asked to conduct his orchestra, the Boston Metropolitan Orchestra and Choir to commemorate the grand opening of the $50 million Mary Baker Eddy Library in Boston. The performance was videotaped and broadcast on the Internet. Film company Communications For Learning commissioned Mr. Kaska in 2001 to compose and conduct a score to the documentary film Bearing Witness: American Soldiers and the Holocaust. Boston Symphony cellist Ronald Feldman was soloist. In 2000, The Scottish Rite Freemasons of the Northern Jurisdiction commissioned Mr. Kaska for an orchestral work entitled Fraternal Journey that was synchronized with a video commemorating the organization’s history. This celebration concert was performed with the Millennium 2000 Orchestra and broadcast on cable. In 1999, Kaska produced an album with the London Symphony Orchestra at Abbey Road Studios with Ronald Feldman conducting. It consists of a Harp Concerto commissioned by the Boston Symphony Orchestra principal harpist Ann Hobson Pilot, and a Song Cycle in collaboration with lyricist, Cliff Schorer. John Williams’ Essay For Strings and Trumpet Concerto were also recorded with Grammy-award winner Arturo Sandoval, solo trumpet. Kaska has also orchestrated two off-Broadway musicals for Pan Asian Repertory Theatre Company in New York City. In 1993, he produced and directed his own show at the Boston Conservatory of Music entitled The Music of Andrew Lloyd Webber and Stephen Sondheim with a 60 piece orchestra. A documentary on Kevin Kaska is currently being broadcast on PBS. The film, EROICA!, shows him composing a Triple Concerto for the award-winning, Grammy-nominated Eroica Trio. It was premiered with Hans Vonk and the Saint Louis Symphony Orchestra, November 2001.